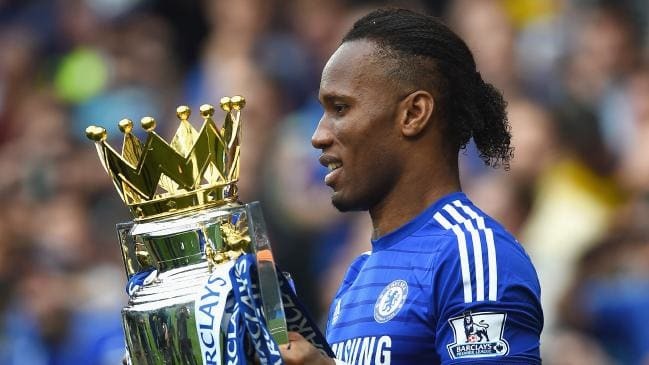 Veteran Ivorian forward Didier Drogba has confirmed his retirement as a player ending “an amazing 20 years”. The 40-year-old, who scored 164 goals in 381 appearances over two spells with Chelsea, had been expected to hang up his boots following the United Soccer League Cup final defeat to Louisville City earlier this month. In a tweet on Wednesday evening, Drogba posted a picture of him as a child on his social media accounts, accompanied by a farewell message. “After 20 years, I have decided to put an end to my playing career,” he told BBC. Chelsea great Didier Drogba played club football in six different countries in total, with the majority of his success coming in France and England. He won the Premier League Golden Boot in 2006-07 and 2009-10, netting 104 times in the English top flight in total. The Ex-captain of the “Elephants” made more than 100 appearances for Côte d’Ivoire and was voted African footballer of the year twice. Drogba is a Goodwill Ambassador for the United Nations Development Program (UNDP). He joined iconic figures such as Muhammad Ali and Michael Jordan as sportsmen to be named in the world’s 100 most influential people by Time magazine. His charity body, The Didier Drogba Foundation, has worked on numerous projects throughout Africa and teamed up with FIFA in 2014 in an attempt to tackle Ebola. Despite being the face of his country, Drogba recently denied that he would make a move into politics or run for the presidency. Posted by Geraldine Boechat on November 22, 2018. Filed under Lifestyle. You can follow any responses to this entry through the RSS 2.0. Both comments and pings are currently closed.